Luc Besson’s films tend to be deeply strange and more than a little suspension-of-disbelief-crushing. “Lucy” had such bad science, it was actively painful, for example. But then, his films also have such strange and beautiful weirdness that if it’s your thing, you can gloss over the parts that don’t make sense or are otherwise annoying. 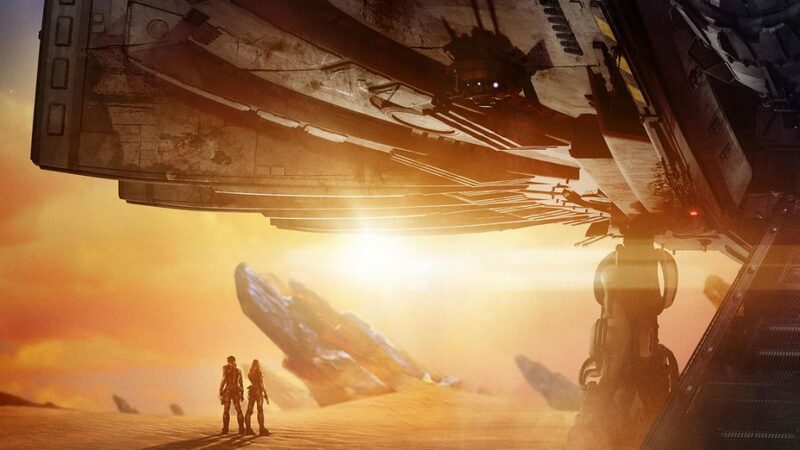 “Valerian and the City of a Thousand Planets” is no different. There are a thousand things to love about it, and a thousand things to hate, and which of those will make you, as an individual, love or hate the film as a whole is almost impossible to say. The story boils down to a mystery involving a missing planet, a miraculous (and thankfully indestructible) alien creature, and a pair of government agents determined to figure out what’s happening and save the day. Along the way, all kinds of familiar elements are woven in. One of the agents, Laureline (Cara Delevingne), is brilliant and sharp and not at all interested in the constant romantic overtures of her partner. That partner is Valerian (Dane DeHaan), a cocky and rule-bending swashbuckling-ladykiller type. He is, of course, smitten with the one woman he can’t have, his partner. Where the film shines brightest is in the overwhelming creativity of its alien beings, creatures, and tools. Besson reportedly called for submissions from artists around the world, and received over 3,500. These artists didn’t work together, so their creations don’t have the kind of stylistic through-line you see when a few people design hundreds of creatures and their environments. They feel much more genuinely diverse than those of most flashy space movies. The settings have a similar diversity to them, and a richness that’s familiar to any fan of Besson’s work. This is a man who wrote a 20-page paper on the modular housing used in “The Fifth Element,” after all, and he bought the rights to the series of French graphic novels “Valentine and Lorelai” ages ago. He was apparently waiting for special effects to improve. He raised the money himself, wrote the screenplay himself, directed it himself. This is Besson’s best qualities as a filmmaker dialed to eleven because he’s had so long to fine-tune everything. His flaws show up as well, of course. Like a lot of his films, there’s a strong central woman, but almost all the plot-affecting characters (the government representatives, heads of departments, and their close subordinates) are all male. The film even leaves Laureline out of the title, only mentioning Valerian. The chemistry between our protagonists doesn’t have much in the way of time to grow, so the film relies on familiar storytelling shorthand to sketch out their relationship. The focus here is on the worldbuilding, not on character development or realism. “Valerian and the City of a Thousand Planets” succeeds wildly at being entertaining and visually astonishing. If your favorite part of the old “Star Wars” movies is Mos Eisley and the other alien backwaters the characters visit, this is a movie for you. If you dislike it when films prioritize spectacle over character, stay far away.